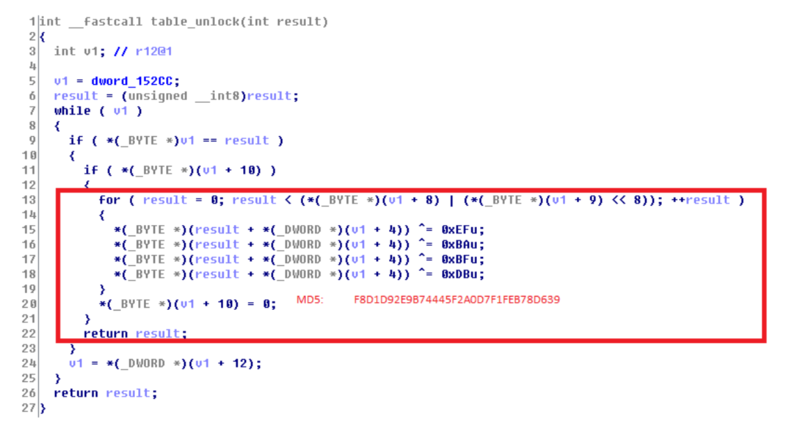 The first chars of this payload are Android Debug Bridge (ADB) commands, used for initiating a connection to a debug channel. This connection is then used to execute a shell command. Short shell builtin for clearing (or touching) the file >/sdcard/Download/f and changing to this folder. Same as above, just with a different file (and folder). Download adbs from dropper server, execute it and remove it. The rm is used to cover up tracks and only keep the bot/malware in memory. Searching for this IP reveals it was already detected some time ago in correlation to the Satori botnet. This is a simple script to download the malware compiled for different architectures and execute them (all one by one). Dirty approach – but works. Having a deeper look at the downloaded binaries, this looks like another modified version of Mirai or Satori, adjusted to exploit public available ADB devices. 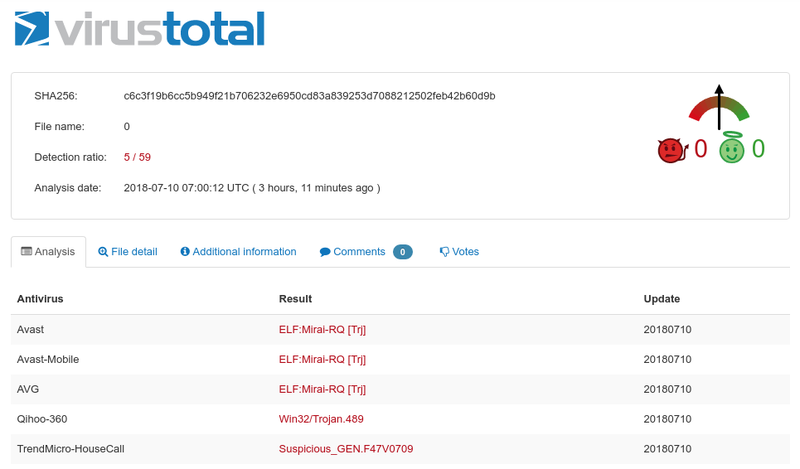 Heading over to VirusTotal, only five engines detect this binary (ELF;Mira-RQ) until now. First date of detection: 2018-07-09 09:20. Similar commands found here on a blog.